Be the first to share your favorite memory, photo or story of Rosalyn. This memorial page is dedicated for family, friends and future generations to celebrate the life of their loved one. Rosalyn Marie Heil, 74, entered peacefully into heaven Friday, November 9th, 2018, after a long battle with cancer. Her courage and grace during this time are an inspiration to all that knew her and loved her. Roz was born in Lyndhurst, NJ to Charles and Sally DeAndrea. She lived in Lyndhurst until she married the love of her life Ronald Heil and moved to Howell, NJ where she was a special education teacher for more than 35 years. Roz is survived by her loving husband, Ron, of 49 years, her son Ron and wife Shannon Heil; her daughter Andrea and husband Neil Craig; her grandchildren PJ, Ryan, Reese and Gavin; and her brother Charles DeAndrea. Roz had a deep love for her family and was proud of her children and grandchildren. She cherished all family holidays, gatherings and traditions, which were a highlight in her life. Her family delighted her always and were the focal point of her life. She was a devoted wife, mother, grandmother, aunt and friend to all. She will be dearly missed by her family and friends who will continue to cherish her and keep her close in their hearts. 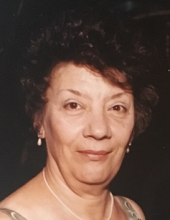 Relatives and friends are invited to attend the visitation Wednesday evening 7 to 9pm and Thursday morning 10 to 10:45am in the Schetter Funeral Home 304 W. Marlton Pike, Cherry Hill, NJ 08002. Funeral service Thursday 11am. Entombment Calvary Mausoleum, Cherry Hill, NJ. In lieu of flowers contributions in her memory may be made to Quest Autism Foundation, PMB 257, 637 Wyckoff Avenue, Wyckoff, NJ 07481. Please visit schetterfh.com to share your condolences with the family. To send flowers or a remembrance gift to the family of Rosalyn "Roz" Heil, please visit our Tribute Store. "Email Address" would like to share the life celebration of Rosalyn "Roz" Heil. Click on the "link" to go to share a favorite memory or leave a condolence message for the family.